The latest refreshing use of social media is the way Scottish beer brand BrewDog turned to its fans and followers to develop its new brew called #MashTag. The company used social votes to select the beer’s name, alcohol count, and signature style. Mashable.com posted details about the digitally inspired drink, as well as how other brands are hopping on the social bandwagon to develop new audience-approved products. The company let their Facebook fans, Twitter followers, and blog audience vote on various branding aspects of the new beer and even urged voters to design its label. The voting process gave BrewDog a prime opportunity to teach their fans how the different stages of brewing affect the final taste and strength of a beverage. The result of this social experiment is #MashTag, which is a 7.5% American Brown Ale made with New Zealand hops and aged on oaks chips and hazelnuts. 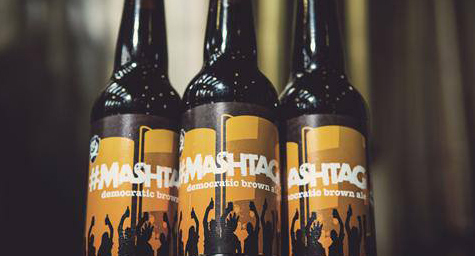 The name cleverly combines the social buzzword “hashtag” with the mash stage of beer brewing. But this is just one example of how social media is being increasingly used in product development and only the latest case of social media’s sway on a beer brand. Twitter was used to create the aptly named #TwitterBrew from Amendment Brewery, while Blackbird beer from Odell Brewery also tapped social media votes to determine the beer’s final flavor. As social media continues to prove its influence and impact on branding, many more beer brands will surely mash-up social media with product development to brew up beverages their fans will favor. Use social media to add a personal touch to product marketing. Contact MDG Advertising today at 561-338-7797, or visit mdgadvertising.com.